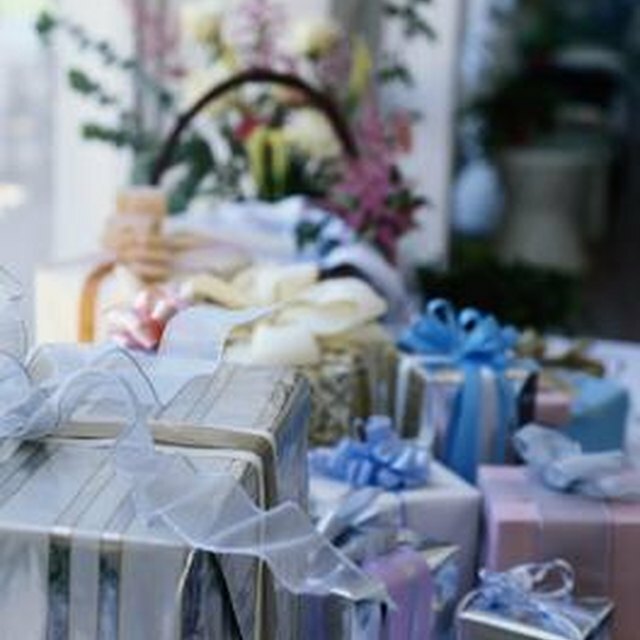 Etiquette states that gifts are not necessarily required at a second marriage. 1 Do I Have to Give a Gift for a Second Marriage if I Did at the First One? In 2011, a little under 3 percent of all divorced or widowed people in the United States got married for a second time, according tothe USA Today article, "Remarriage Rate Declining As More Opt for Cohabitation." Still, the chances are pretty good that someone you know will get married for the second time. It's difficult to choose a gift for someone who has already been married -- and you may not even have to. Guests aren't obligated to purchase a gift for a second marriage, according to the Emily Post article, "Wedding Gifts: The Second Time Around." It's likely that the couple already has everything they need. This only holds true if you attending the first marriage of the bride or groom, however. If you did not attend the first marriage, you are expected to give a gift. Still, some guests -- especially if they are close friends or family of the bride or groom -- will want to give a gift anyway. Cash is a gift that is usually appreciated by the bride and groom, who may use it to help pay for a honeymoon or even wedding bills, since many second marriages are hosted by the couple themselves rather than parents. The average cash gift from a friend is about $79, according to the CBS News article, "Wedding Gift Etiquette: What to Give and How Much." Family members usually spend almost double that. If it seems rather cold and impersonal handing the happy couple a wad of cash, purchase a pre-paid gift card instead, and tuck it into a pretty wedding card. Wedding gift registries aren't just for china and linens. 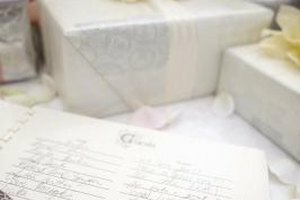 Couples marrying for a second time may choose to register for gifts, although they may choose more "family" oriented items if they have children, like camping equipment and board games. Check to see if the couple did register for gifts. If so, consider getting them something off of their registry list. This way, you know they -- and perhaps their children as well -- will enjoy the gift. Guests can be more creative when it comes to gifts for a second marriage, because the couple probably doesn't have as great a need for practical gifts. If you are close to the bride or groom and have photos, try putting together a photo book. Gift certificates for a nice dinner out are always a good idea if you know the couple's tastes. If you do want to get them something for their home, choose something unique that they probably won't already have, such as a personalized welcome mat with both of their names on it, or even a gift certificate to a home supply store --- that way, they can make their house a home.